Type WP-NC2R-FAID Crane Man Cage Work Platform has been designed strictly in accordance with Australian Standard AS 1418.17 and is suitable for a maximum of six people. 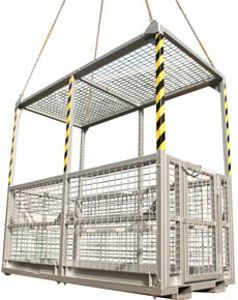 Rescue crane cage is manufactured to suit First Aid Rescue applications for your building site with outward opening door. Fork pockets are provided in base of crane cage for transport purposes only.